These vases were introduced in 1962 at the Blackpool trade fair. They were originally made in Midnight Blue, Amethyst and Shadow Green, but can also be found in Ruby, Golden Amber and Twilight. 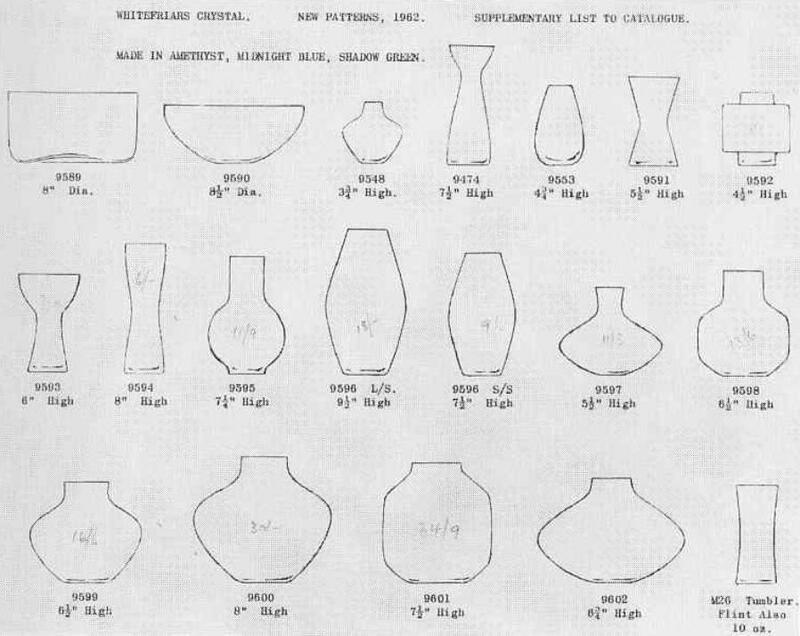 The vase heights, particularly of the gourd shaped ones does vary significantly from the catalog, and you may find an example with up to 1" variation in height.